In the quest for equality, a society must ensure that its differently-abled citizens find much dignity, support and inclusiveness. 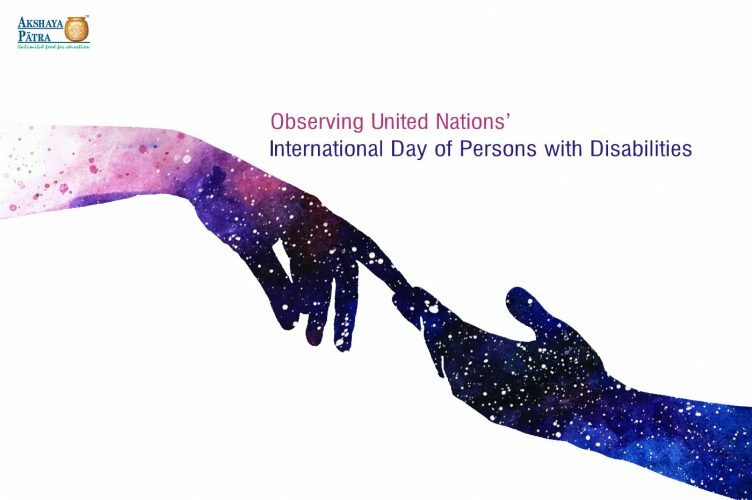 To achieve this end and encourage a greater understanding of the issues faced by people with disabilities, International Day of Persons with Disabilities, an initiative of the United Nations (UN), is observed around the world on December 03. Akshaya Patra’s unlimited food for education initiative seeks to lead children to equal opportunities by ensuring that they don’t quit school on account of hunger and stay on to complete their education. Among over 1.7 million beneficiaries of the Foundation, there are many that are differently abled. In Telangana, there’s Sirisha, who has a hearing impairment. The young girl, who travels 2-3 km from home to school and back again, wants to become a police officer. Then, there is Afreen, also from Telangana, who suffers from a deformity in her right hand, which has rendered it immovable. She is encouraged by her sister, another Akshaya Patra beneficiary named Nousheen, to be positive and emerge strong, despite her condition. The Foundation feeds many such differently abled and special-needs beneficiaries. The promise of a mid-day meal encourages them to attend school, study well and take active interest in its activities. The organisation wishes these special children every success and is confident that they are and continue to be an inspiration for many people across the world. Donate to the cause of Food for Education and support the aspirations of children across India! Thanks to the rise of food reality television shows, a number of people are avidly interested in baking. Whipping up delicious treats in the oven can be great fun, especially when done with loved ones. Put your baking skills to good use by holding charity cakes-and-cookies sales in your neighbourhood. We were pleasantly surprised recently when two of our supporters, young girls aged 12 and 13 years, learnt to bake cupcakes and held a sale of these treats to raise funds for our Foundation! Who doesn’t like the sight of a shiny, freshly-washed car? We all do! Get together with your friends, neighbours and all those wishing to join in, and organise a car wash! Car lovers would be happy to bring their prized vehicles and have them freshly scrubbed and waxed. You could also have children put up a lemonade stand nearby to quench the thirst and refresh those attending, and raise some more funds at the event with the help of the little ones! Birthdays are a wonderful occasion – they give us the opportunity to usher in a new year with those who are most near and dear to us. 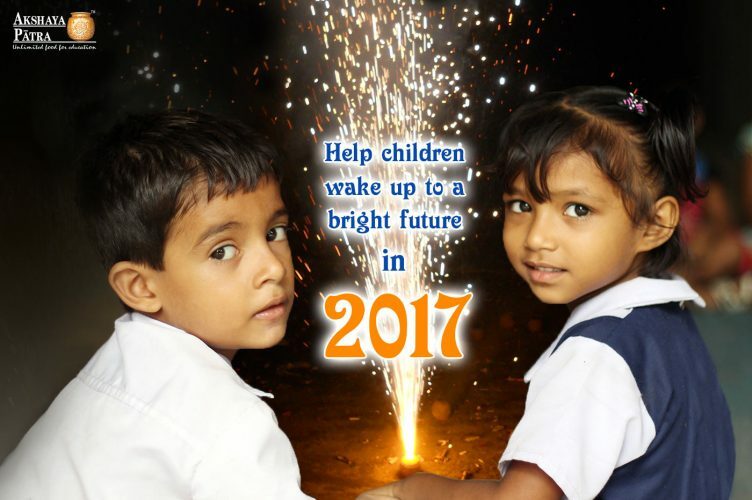 Wouldn’t it be wonderful to begin a new year in one’s life by collecting funds for a noble cause? Why not invite cash instead of gifts from family and friends and donate the amount thus collected to charity? It would be a truly memorable way to celebrate one’s life and also inspire others to do a noble deed on significant occasions in their lives. Are there any troubles that some music cannot lessen? Look to this language of the soul to help you raise fund for those truly in need of your help. Organise a singing competition for a small fee and gift relevant tokens to those attending, so they are always reminded of having lent their voices to do good to society. A competition of this variety can reveal talents that are often hidden, and who knows, they may also lead the lucky, talented few to fame! Greeting cards are commonly used for charity fundraising, but there is nothing as touching as a beautiful, painstakingly crafted, handmade greeting card. What could be a better way to express one’s love, admiration, appreciation, best wishes or gratitude, than a unique greeting card with a heartfelt message on it? Those blessed with artistic abilities can put their flair to good use by creating these cards and selling them at events like fairs, family gatherings or at charming little kiosks outside restaurants or malls. Have you thought up a fundraising idea of your own that you would like assistance with? Let Akshaya Patra help you develop it! To “120 angels” with love: Gaurav Warman talks about his campaign! Gaurav Warman believes “everyone owes some contribution towards society” and that it is time he does his bit! From this altruistic intention, he came up with the phenomenal campaign, ‘Ride 1200 kilometres for 120 little angels’ that is transforming lives of 120 little children. He is a resident of Mumbai and is presently working with L&T Mutual Fund as the Training Head. 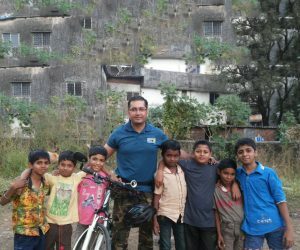 Gaurav’s campaign is a fundraising campaign to aid 120 underserved children by riding 1,200 kilometres on bicycles from Mumbai to Jaipur commencing from 9 December, 2015. The funds raised from this campaign will be donated to The Akshaya Patra Foundation towards the Mid-Day Meal Programme, under which 120 children will be provided one meal a day for an entire academic year. Why did you choose to associate with Akshaya Patra for this philanthropic activity? I chose to associate with The Akshaya Patra Foundation because I liked the concept of the Mid-Day Meal Programme for school children and wanted to contribute in my little way. How would you create a culture of philanthropy in your own circle? I would continually endeavour to do special activities like riding bicycles for long distances to urge people in my social circle to donate for underserved children. How did you come up with this inspiring fundraising campaign? I am extremely passionate about cycling and I just thought of doing this activity on a large scale by choosing to ride 1200 kilometres starting from Mumbai to Jaipur. This is just the beginning as I will continue doing more such philanthropic activities to raise funds for underserved children in future as well. What are your expectations from this campaign? My only expectation is that the funds should be utilised for the Mid-Day Meal Programme for the maximum benefit of underserved children in the most transparent way. With this, we could give them the best possible quality and quantity of food for their development. Open doors with Akshaya Patra! International Disability Day 2015 revolves around the theme, “Inclusion matters: access and empowerment for people of all abilities.” This day seeks to understand the issues related to ‘disability’ and how we humans can muster support for the well-being, rights and most essentially dignity of differently abled people. This year we focus on building an all-inclusive environment and an ever accessible society for differently abled people to fully participate in society just like others. Often societal attitudes born out of bygone stigma and discrimination brutally impact the lives of people with disabilities forcing their self-confidence to either crumble or perish. We cannot let this happen! Being responsible individuals, it is our duty to understand and encourage people with disabilities. It is upon us to realize that ‘disability’ is also a part of the ‘human condition’ and should not be subjected to any degree of discrimination. We should collectively endeavour towards building sustainable environs for people with disabilities so that they can empower themselves, realize their full potential and participate equally in all walks of life. In order to achieve this, there is a need for investment. Investment is the only baton to create equal opportunities for people with disabilities in sectors like education, employment, health and nutrition and social protection. So what are we waiting for when we can donate to add value to their lives? Disability donations are the best way to show that you care for people with disabilities; to show that you too dream of a better world for them! In kind donation too is a great way of reaching help to those for whom mobility and self-sufficiency is a hurdle. On this International Disability Day, join hands with Akshaya Patra to bring happiness to millions of such children in India who are being denied access to society owing to their disability. Akshaya Patra continually endeavours to help such children who do not have the required means to access education but aspire to study and grow. Akshaya Patra’s nutritious mid-day meals helps open new avenues for differently abled kids as it attracts them to school and presents them with an opportunity to receive education just like another child. So let’s all support a great cause and donate to charity. Become an agent of change with Akshaya Patra, this International Disability Day. Entries are open for Click a Smile 2015! Dust off your cameras and get ready to get clicking! Akshaya Patra’s annual photography competition Click a Smile is back! Launched on 20th November, this competition will run till 22nd December 2015. With a line up of judges that will thrill the shutterbug in you, here’s a platform to showcase your passion. Whether it’s capturing something different, or something ordinary in a different way, Click a Smile is your annual opportunity to share your craft with the world. Our panel of judges featuring Kanick Samuel, Senior Creative Director from JWT Bangalore; Suresh V.B, Professional Photographer and Vicky Roy, Documentary Photographer, are eager to see your work. It doesn’t matter whether you’re an amateur or a professional; all you need to do is send us a beautiful, meaningful picture taken by you of a smiling child (or children) to stand a chance at being selected among the top three winners who will receive a trophy and gift voucher. The top fifty photographs will also be showcased later in Akshaya Patra’s annual photography exhibition with full credit to the artist responsible. 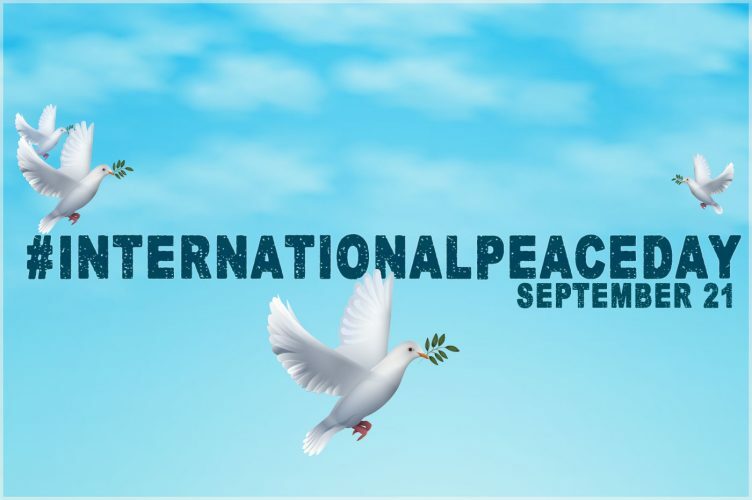 This international contest is open to participants of any age and nationality. We want all of you to take part in this opportunity to spread the joy of a child’s smile with the world. Just send in your pictures in a digital format, with a file size of less than 4 MB, and a minimum resolution of 800 pixels to be eligible. Each contestant can send in a maximum of three photographs. Last year we saw about 1,400 entries pouring in from nearly 50 countries! Take part in Click a Smile 2015 and help us double that. Together we can take the joy of a child’s smile around the world! To register, click here. Come be a part of our 15 year anniversary celebrations! We at The Akshaya Patra Foundation are all set to celebrate our 15 year anniversary on 11 November, 2015. Since the very inception of our programme, we have left no stone unturned in our attempt to transform children’s lives in the face of poverty and hunger. In fact, with your support, we’ve grown from feeding 1500 children to nearly 15 lakh in 15 years! We thank you all for your good wishes and encouragement throughout this journey. In a country where food insecurity exists and education for many is a distant dream; an effective way to bring a child close to the classroom is a tasty healthy meal. Akshaya Patra’s expertise in nutrition and innovative approach is already helping end classroom hunger for school children from 10,845 Government schools, across 10 states in India daily. Now as we gear up to celebrate our 15 years of existence, we have come up with a fun packed week of activities to mark this special occasion. Every day from November 04 – November 11, 2015 we’re running exciting and engaging activities. Visit our page and be a part of this fun filled experience and share it on your social media too! Share in this milestone of Akshaya Patra by celebrating with us! View our daily activity here. The Akshaya Patra Foundation provides daily food to some of India’s most vulnerable children who are deprived of education owing to their impoverished conditions. These young ones are forced to work as daily wage earners to make enough money for just a single meal. For them, too often, education just seems a distant dream! Akshaya Patra’s mission is to feed 5 million children by 2020 and you can help us in achieving this. Fundraise with us and gift a child a smile. Take your first step in making a contribution today to feed a hungry child. You can make a difference in the lives of these underserved children by creating your own fundraising campaign. Fundraising is not only a philanthropic gesture but it is fun too! These are great community building skills and have a rippling effect. Your gesture can inspire millions and in turn bring Akshaya Patra a step closer to its dream of ending child hunger in India. 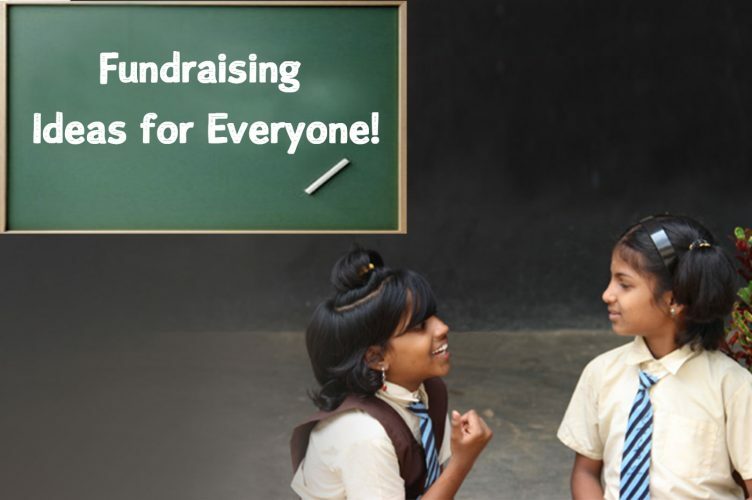 We are ever ready at your disposal to facilitate you in creating your own fundraising campaigns. Learn all about various fundraising options from our website and host fundraising campaigns in your community. Write to us at infodesk@akshayapatra.org for any query of yours. With your help, every child can have access to daily education and nutritious food. You can also spread the word with our banners or join us online to promote our cause through social media. So act today! Be our companion. Donate, fundraise, learn and share.